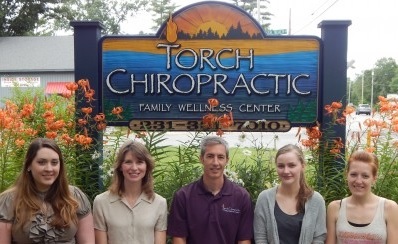 At Torch Chiropractic Family Wellness Center we provide care for your entire family. Pregnancy Care: Dr. Trevor’s expertise in pregnancy helps expectant mothers with a pain free pregnancy and a healthy delivery with the use of the Webster technique. Read more» Pediatric Care: Dr. Trevor is the only area chiropractor that is certified by the International Chiropractic Pediatric Association (ICPA) and is qualified to help children grow and develop in the healthiest ways by using gentle chiropractic care. Read more» Family Wellness Care: Regardless of your age, from birth to adulthood, we’re here to help you reach optimal health. If you just want to maintain a properly functioning body, we have the tools to help you. Performance Care: Dr. Trevor has competed in triathlons, marathons, track and cross country, biking, ultimate frisbee, and other endurance sports for over 25 years. If you or anyone in our family is not at their best from an accident or a sports injury we can help. We see many people with sports related injuries and have had great success getting them back to their game even better than before. In additional to chiropractic care Torch Chiropractic Family Wellness Center also offers services that work together for whole body health and wellness.